Juste Milieu - 18" x 26"
Providence - 18" x 26"
Ceru - 18" x 26"
Perenne - 18" x 24"
Reverie I - 24" x 18"
**The following is an unpublished interview I did earlier this year for an online art publication, whose name I'll leave respectfully undisclosed. I put a lot of time and thought into answering the questions, so I'd hate to see it go to waste. 1. Do you have any mantras when it comes to design? Are there certain rules or truths you express through your pieces? Less is more. Trust your intuition. Some of the greatest artists in the world have stated that they are not the ultimate source of the work they create, but rather they are a conduit through which a higher power will transmit and manifest itself as concepts or ideas. I completely agree with this notion, and strive to be as open and in tune to that source as humanly possible. In a world that grows increasingly indifferent to faith and spirituality, I hope that some of my work serves as a sign post, pointing towards the mysterious and spiritual nature of life in a way that intrigues and inspires. 2. You specialize in everything from graphic design, typography, brand development and even music production. How do you manage being so versatile and broad? Are there times when projects seem to kind of mesh into one? I've always been a 'DIY' type of guy... But I'll explain more about that later. To me it all goes hand in hand. My personal interests were never limited to being a 'creative'. I've always had an entrepreneurial spirit and carried a drive towards the business end of things. I tend to enjoy administration as much as I enjoy creation. And yes, a lot of times, the projects do blend into one. Secret Society is a great example. I started Secret Society as a monthly event showcasing avant-garde music, art, and film. Originally, I handled all of the booking, curating, design, and promotion myself. And eventually, it evolved into a brand and art series all of it's own. The same goes for my music label/creative group, Burlei; Graphic design, typography, brand/product development, and music production are all part of the bigger picture, and they're also all things I am very passionate about and naturally inclined towards. 3. Your prints are so mesmerizing and thought provoking. When I look at them they remind me of the secret societies and conspiracies, particularly because of the heavy use of triangles. What are the influences for you behind those symbols? The Truth. Human history is flooded with esoteric and arcane knowledge, but much of that history has been stolen, or hidden from the general population. Or, as Tolkien once put it, "Some things that should not have been forgotten were lost. History became legend. Legend became myth." I am fascinated by sacred geometry, mystery schools, alchemy, occultism, secret societies, astrology, etc., and the role they play(ed) in creating the world we live in today. Also, my mother and my uncle were really into anything involving the paranormal and supernatural, so I was raised around these types of things... I suppose that has a lot to do with my own fascinations, and comes through in my imagery. I'm currently working on a series which is based off of the the 22 'Major Arcana' Tarot cards, which will be developed as an art series, as well as a new Tarot deck for the ages. 4. Can you tell us a little bit more about your creative beginnings? How did you make your way into the design industry? I was raised around family and friends who cultivated creativity. My parents were young, fun, and hip, so they exposed me to a lot of great music, movies, books, art, etc... Growing up in a small town environment without much money meant you had to be creative with your time. It was either that, get into trouble, or slowly die from boredom. I was always magnetized towards art, music, and writing. These things constantly called to me. Art and music were my primary obsessions. I had a pencil in my hand from the time I was born, and my first drum set at the age of five. As a kid, I practiced drawing almost everyday. My roots were in comics and fantasy art, then eventually graffiti and street art. Although art seemed to come more naturally to me, my obsession with music grew larger with each passing year. I kept up with both until the age of 21. At which point I had come to two conclusions. One: If you really want to master something you have to give it your full attention. Two: There are too many mediocre artists in the world, clogging up the arteries of the industry. I don't want to be a blood clot. I had a lot of friends who I thought were really excelling at art, and I didn't feel like I had the same drive or talent as they did, so I decided it was time to focus more on music. I literally made the choice to leave art behind and dive head first into the world of music. But, I guess you could say that art wasn't done with me. Like I mentioned earlier, I've always been a DIY guy, so when I or anyone I was working with needed cover art, flyers, logos, etc., I did them myself. As time went on, I really developed a talent and passion for design. In 2001, I moved from Denver to L.A. where I met another self taught designer, Rob Castellanos. This became one of those 'iron sharpens iron' relationships. We would design a lot of things just for fun or for our dj crew, and trade techniques, secrets, and ideas. Then in 2006, I moved to San Francisco, where I randomly landed a marketing director position at a huge nightclub. 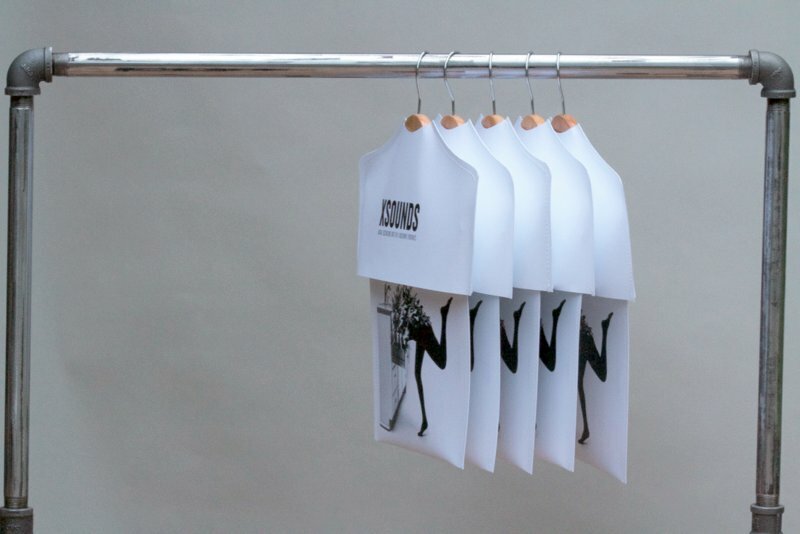 I ended up doing a lot of design work for the company, and working very closely with a well known French designer/creative director, Mateo Mounier. Mateo became my 'Yoda'. He taught me a lot, kept meticulous standards, and really helped me to refine my approach to design. I left the marketing director position in 2008, and started doing freelance work for various companies and artists in the bay. This allowed for a lot more creative control. Around 2010, I started working on Burlei with my partner, Braxton Nations. This was also around the time that Secret Society was born. Between the label and the event, I started to realize that the design work I was doing had far more capability than just flyers and cover art... it had actually become 'fine art'. The work started taking on a life of it's own, and eventually there started to be a demand for prints, shirts, and even gallery installations. So two years ago, I made the decision to take it more seriously, and I couldn't be happier. Not only do I feel in tune with my work, I am in love with the actual process. Most of the work you see on my site has been done in the past two years. 5. How do you prepare to work on any of your projects? Do you have any off beat routines besides the usual brainstorming and/or sketching? Coffee first. I am always preparing for future projects. I keep notebooks, sketchbooks, and folders of ideas, inspirations, and resources. A lot of my work is based on digital collage & photo manipulation, so sometimes all it takes is to come across an image that speaks to me. Next thing you know I'm hours into a new design. Music plays a crucial role in the brainstorming/design process, of course. As for off beat routines, I love going to libraries, used bookstores, record shops, and a certain old cemetery not far from where I live. A pottery teacher once divided the class into two groups. She told the first group that over the next month they're assignment was to make the best pieces they possibly could. She told the second group to make as many pieces as they possibly could. At the end of the month, the group who focused on quality had some great pieces, but the group who focused on quantity not only had equally great pieces, they had twice as many great pieces as the first group. Moral of the story? Make art, and make a lot of it. The hardest part about creating, is not in the actual creation. It's the sitting down to create. Stop waiting for the perfect moment. The muse will provide what you need the moment you show up to do the work. With everything being so polished and perfect through technology these days, I think people really miss the imperfections and character of the human touch. "Perfection is Annihilation. It paralyzes us from working from the heart. Humans by nature are not perfect and imperfections are what make the world beautiful." Sombra - 17" x 11"
Penurious - 17" x 11"
Just finished & launched the new Burlei website, and couldn't be happier with the results. Click through to burlei.com and explore. The X Sounds Launch Event in Nashville was a smashing success. Our sincerest thanks go out to everyone involved in making it all that it was. We are honored and inspired by the extraordinary community of artists behind Fort Houston, and the stellar work of Kit Kite. Extra special thanks to all the musicians for the remarkable performances: Turnbull Green, Joan of the Stockyards, Angel Snow, and Those Darlins. This was definitely one for the books. The word on the street is we might be taking this show on the road. Currently looking at LA, SF, NYC, and Denver... Stay tuned for more! 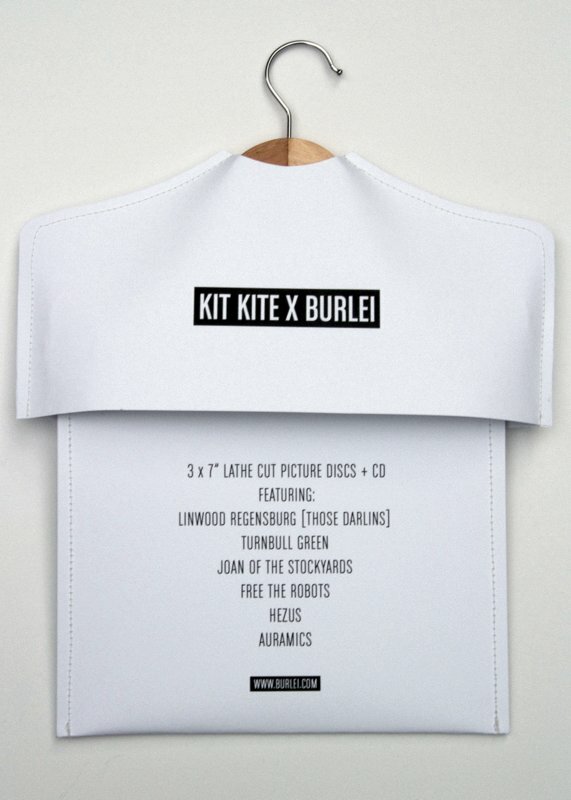 Prestige - 11" x 17"
Packaging design for the Kit Kite x Burlei 'X Sounds Project' Limited Edition Record Set. 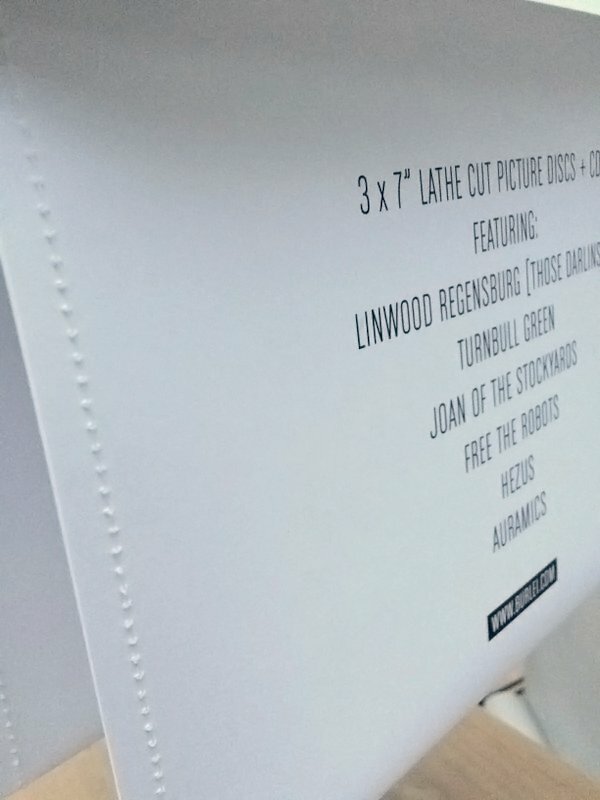 The set includes three 7-inch lathe cut picture discs and a full length CD, packaged in Hand-Stitched 270g Lynx® Opaque Paper Sleeves on a 13" Cedarwood Hanger with Chrome Clips. Burlei created a musical adaptation of Kit Kite's 'X Housewife Portraits' by producing field recordings of the household objects found in the images. These field recordings were then sent out to a diverse network of forward thinking musicians, who composed original songs/scores based off Kite’s individual portrait, resulting in the X Sounds.